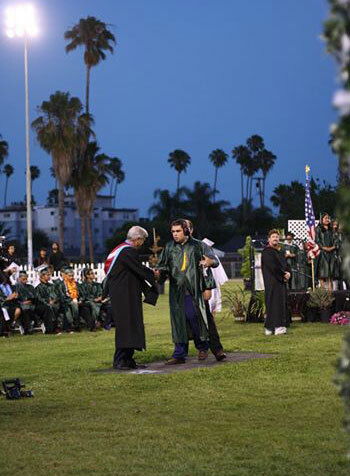 I graduated high school on June 5 with a diploma. My GPA was the fourth highest in my grade. I did it despite being really autistic. I did it though I get tense and even aggressive sometimes. I did it though I can’t speak verbally and communicate by iPad or letter board. I can’t stop being autistic. It is with me all the time. I’m wired in a peculiar neurological way. Despite this, I thrived, taking AP and Honors classes and doing my work along with my normal peers. The school was great and worked like a team. My teachers were supportive and respectful and I am grateful. My last year suffered because of a crisis in 1:1 support. This nearly turned me into another person, I was so stressed and overwhelmed by the situation. But I can smile again and I will put it behind me and move on. 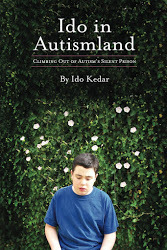 Because autism makes us so reliant on our 1:1 support, when it’s strong we can flourish. If it’s not, we can collapse. Now that I have graduated, I will have more power to choose who helps me so I need never be trapped again with a bad match and bad leadership. Thanks to all my teachers, the school administrators, Adrienne and Anna.